In large documents it’s relatively easy to lose an object or group that you definitely, definitely created….but was it in this corner, or that one? 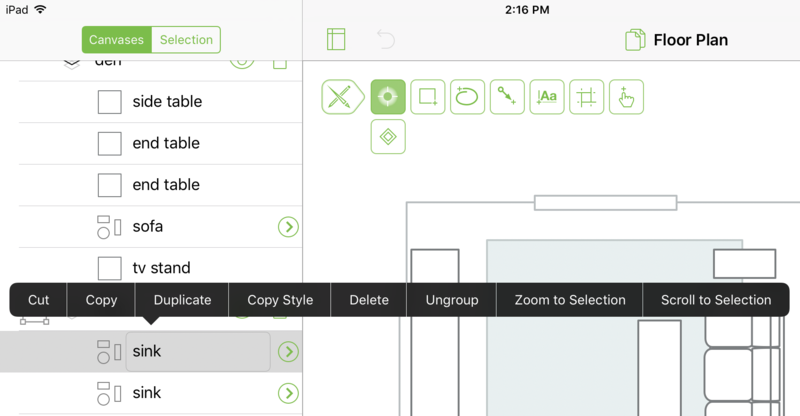 In OmniGraffle 3, the Unified Sidebar holds a lot of shortcuts. Unsure where a group of objects is on the Canvas? Long tap, select Zoom or Scroll to Selection, and you’re there!